Comprising of 2 x 1 arm sofas and 1 x Match coffee table. Design: Francesco Lucchese. The innovative feature is intrinsic in the formal construction. A linear and rigid outer frame contains and contrasts with soft cushions to produce a volume of great harmony. A Modular sofa range with great personality and various elements to enhance the interior design of your living space. 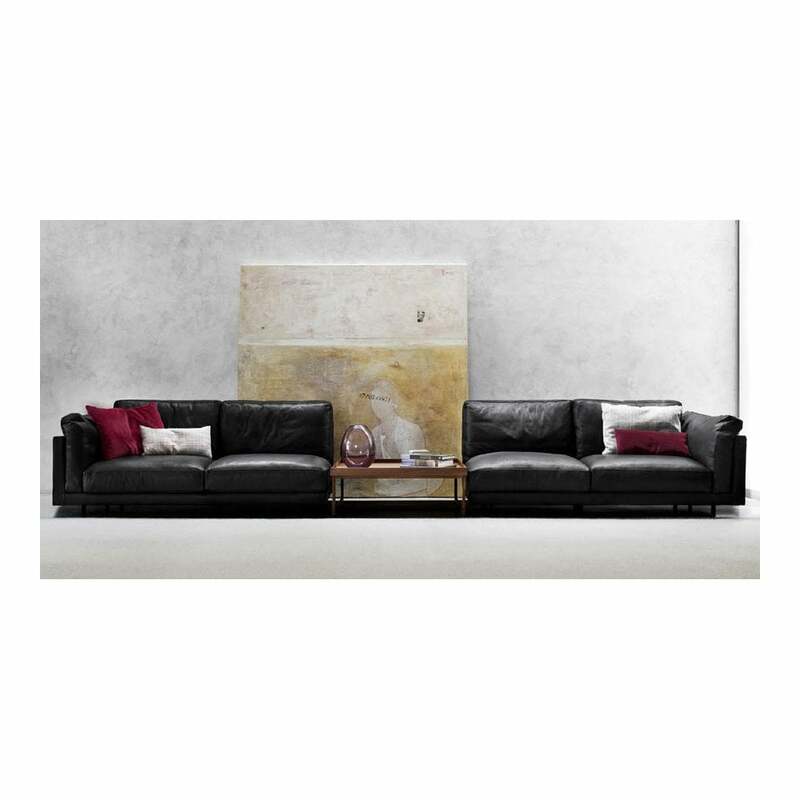 Wooden frame with elastic straps, upholstered in expanded polyurethane, fibre covering matched with fine velveteen. Backrest feather cushions with insert in expanded polyurethane. Seat feather cushions with insert in expanded polyurethane, with differentiated density, upholstered in cotton and heavy cotton. Feet in metal, powder coated, with non-slip ferrules. With a particular strap system in the backrest, enabling a flex of up to 5 cm. for a perfect ergonomics and moments of pure relaxation. Elements upholstered in completely removable fabric. Please contact us for bespoke configurations or other fabric and leather ranges.